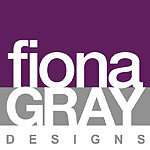 The need to make design and make things is a huge part of Fiona’s life and has been from a very early age. She started the company in 1994 after completing a degree as a mature student in ‘Combined Studies in Crafts’. Over the years she has worked with a range of materials - wood, metal, stone, glass, plaster, concrete, often combining two of more together in a single piece. She designs large pieces of public art – sculpture, gates, seating, signage as well as teaching art and crafts. The range of ‘Sculptural Tiles’ is a relatively new product Fiona has developed. 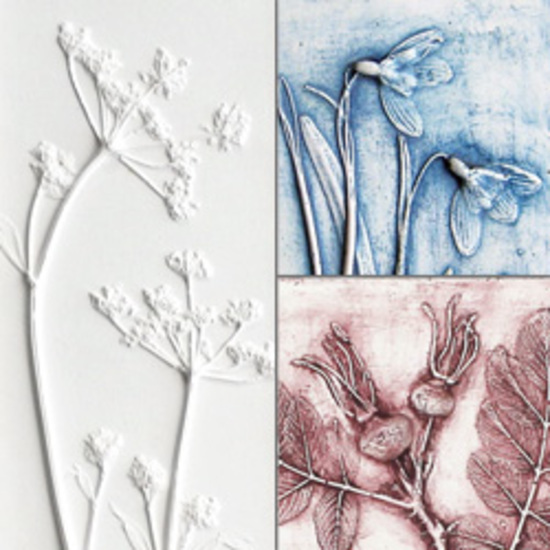 They capture the delicate beauty of plants and flowers as a relief plaster cast made using the actual plants themselves. They are made in her workshop, which is housed within an old whiskey warehouse that has about 40 artist, designers and musicians, a great cultural environment to work in. The tiles are available in a selection of frames, mounted on hardwoods or simply as tiles ready to hang on a wall or displayed on a shelf. Fiona can also create casts from your wedding bouquet, anniversary bouquet or simply your favourite flowers, a reminder to treasure forever. A variety of sizes of tiles are available, so you can choose how many plants or flowers you want to have cast. They are available as a tile, mounted on a wood backing of in a frame. Delivery will be via Royal Mail Signed for service for both domestic and international customers and will require a signature on receipt. The work will be insured during transit, if the packaging is damaged please photograph it before opening. Open the parcel to see if the goods are intact, if not please keep all packaging & contact me about returning the goods & getting a replacement. If your country is not included on the list please get in touch via the 'ask the seller a question button' for a price.